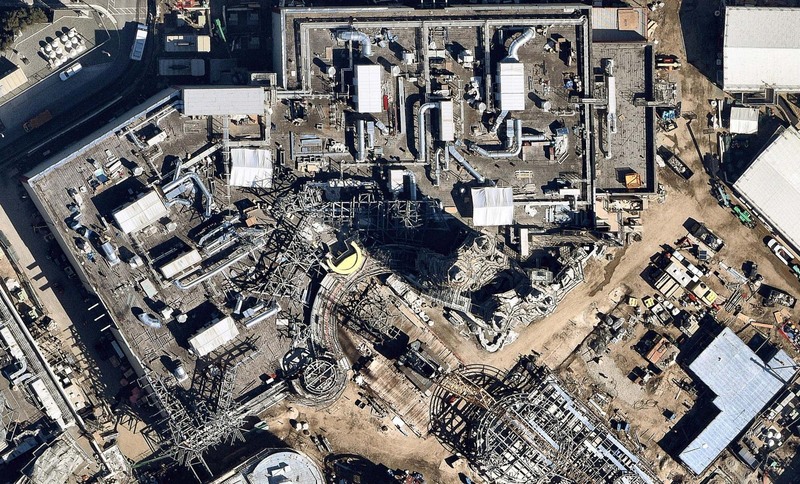 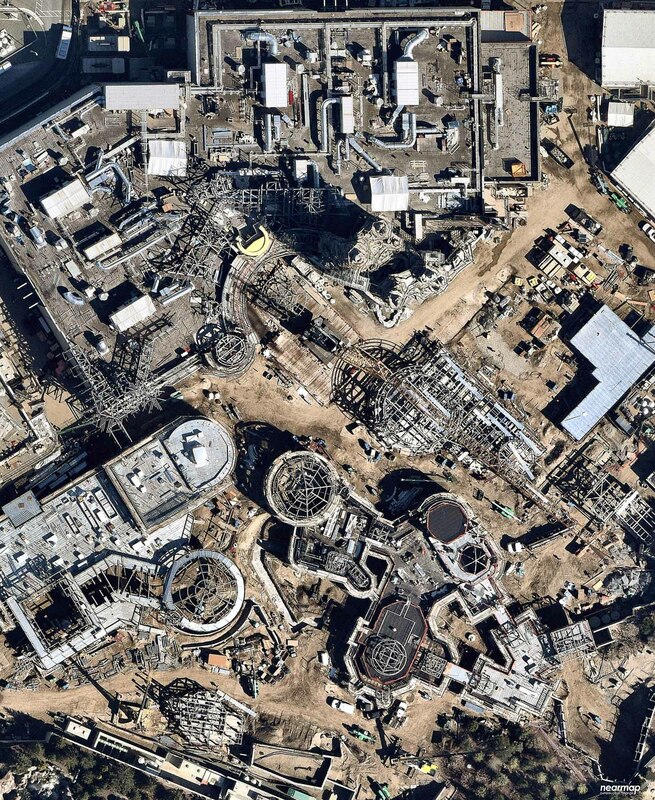 Our good friends at NearMap are back with more Star Wars: Galaxy’s Edge aerial imagery from Disneyland in California. 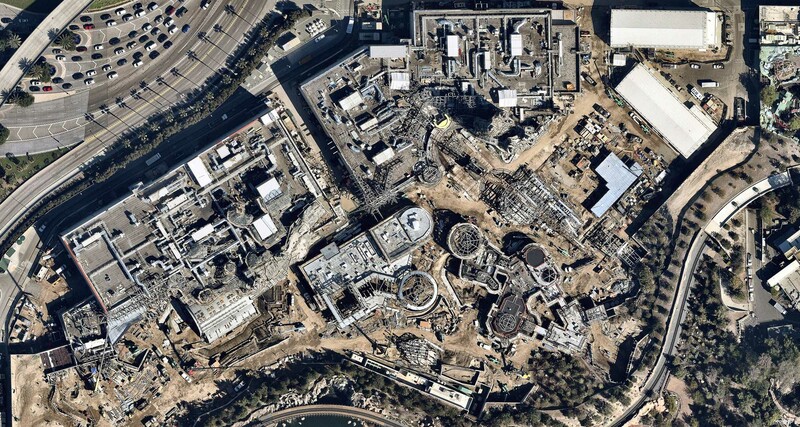 A few overview photos show the scale of the land, a massive 14-acres! 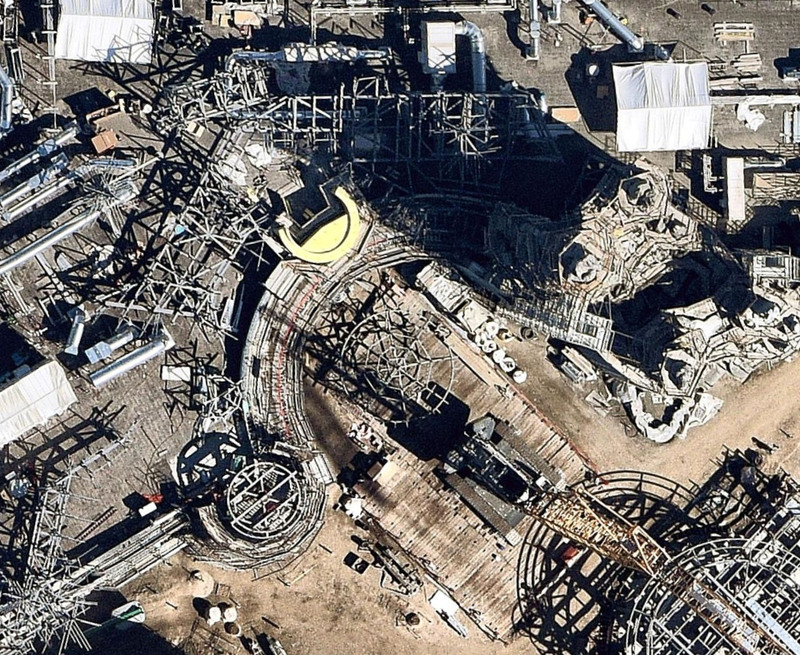 The first thing that caught our eye on these overview photos was what appears to be the first signs of the Millennium Falcon! 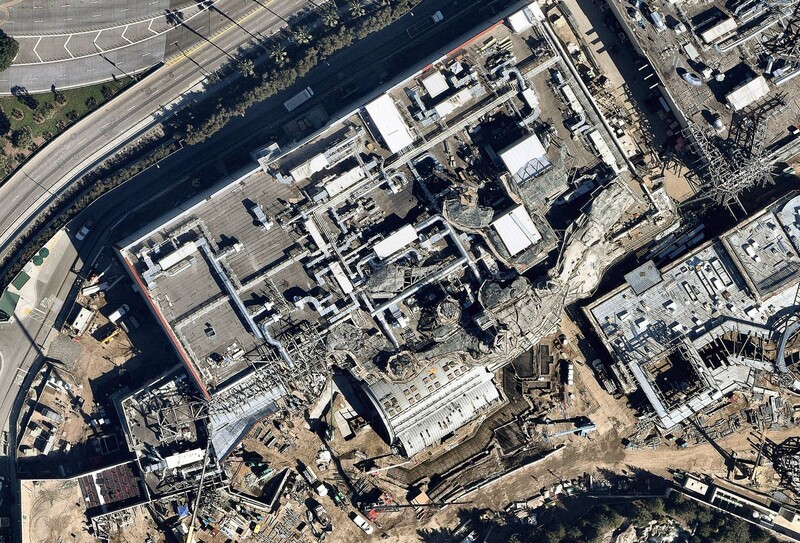 This tall photo shows the Millennium Falcon attraction show building as well as nearby shops. 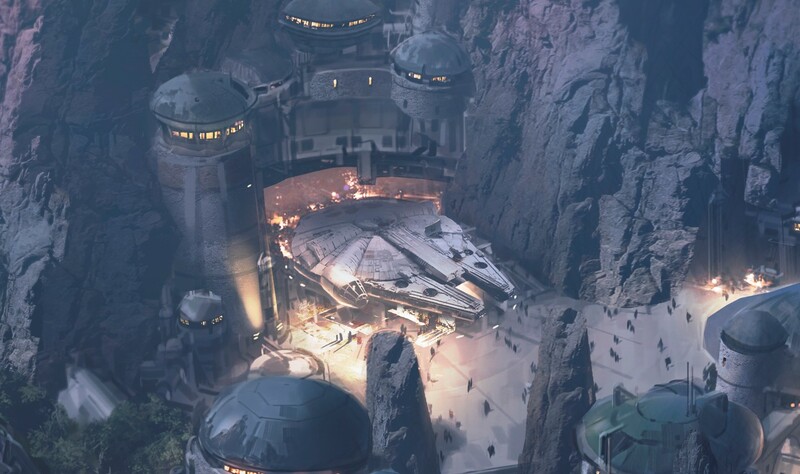 A closer inspection shows the circular beginnings of the Millennium Falcon prop that will be sitting in front of the attraction show building as seen in the concept art following. 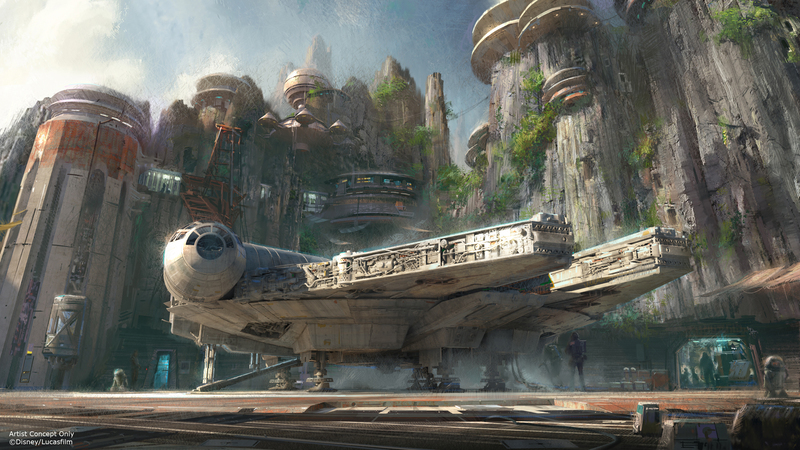 It also looks like another spaceship is being fabricated in front of the Falcon. 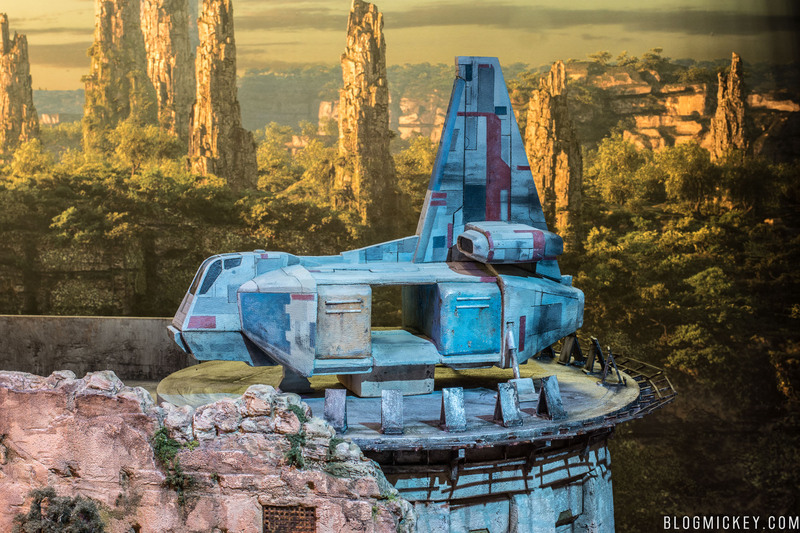 This spaceship will likely sit atop a nearby building as seen in the Star Wars: Galaxy’s Edge model at Walt Disney Presents in Disney’s Hollywood Studios. 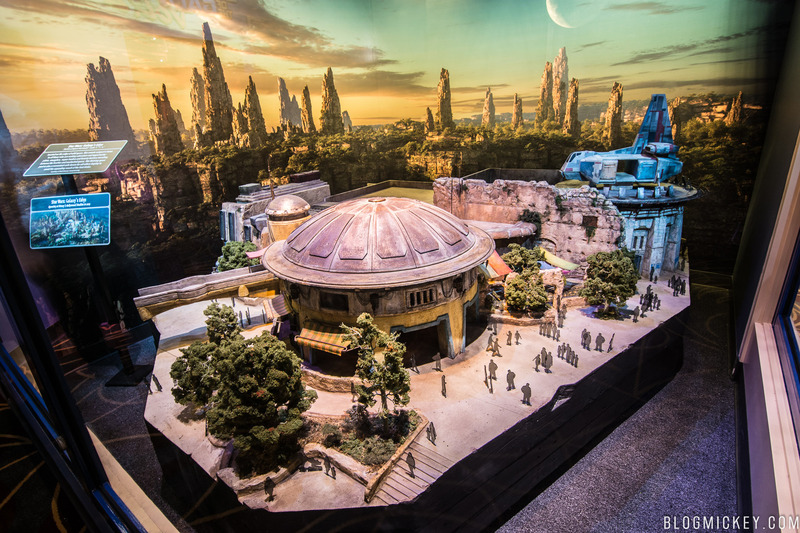 Other overviews include a look at the massive First Order Battle Escape show building and the Millennium Falcon show building, respectively. 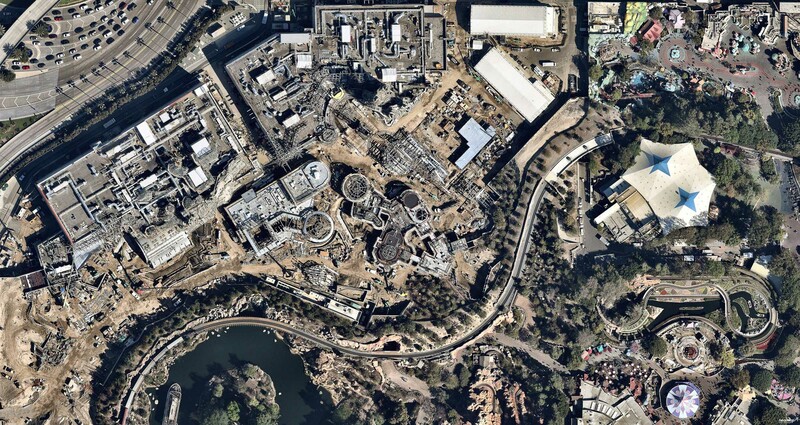 A good amount of progress can also be found on the shops and eateries nearby. 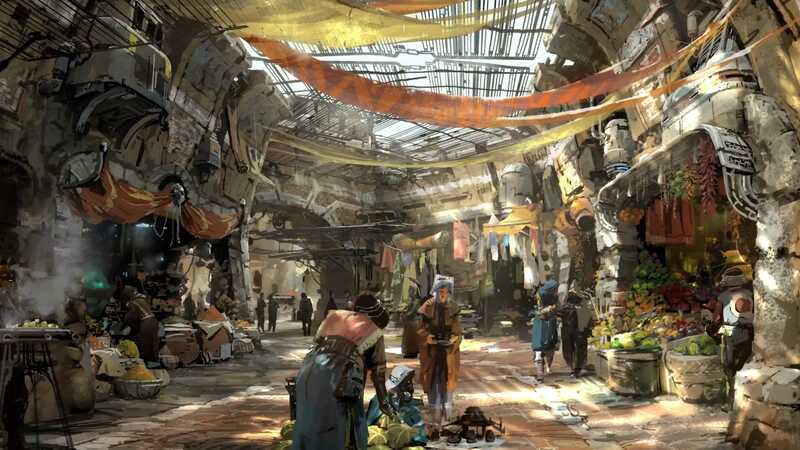 The bent alleyway in the left of the below photo appears to be the outdoor shopping area as seen in the following concept art. 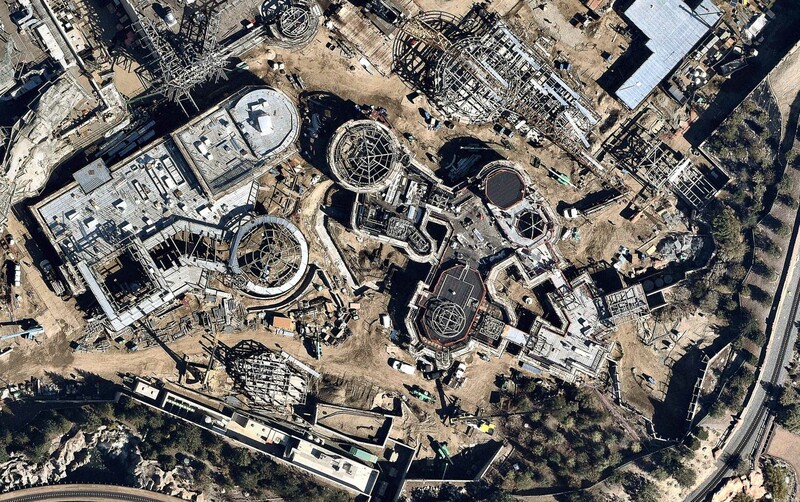 We want to extend our thanks again to NearMap for passing along the wonderful aerial imagery of Star Wars: Galaxy’s Edge.